April is almost here and spring is well and truly in the air in Exeter. This month signals the arrival of the Easter holidays, which means that it’s finally time for you to come out of your study hibernation, enjoy a well-earned rest and re-energise before exams are on their way! So while this holiday is a great opportunity to fit in some extra revision, Downing Students believe that it’s also important that you make the time to nurture and re-energise yourself this month. Whether it’s a good book, a new film release, a music gig or even a local restaurant with a great student deal, this month is full of exciting moments for you to look forward to. That’s why our Exeter team have picked seven fun ideas to put that spring back in your step this April! A poignant and evocative novel about one Greek woman’s struggle- and her nation’s- in the aftermath of World War II. Aliki is one of the last of her kind, a lamenter who mourns and celebrates the passing of life. She is part of an evolving Greece, one moving steadily away from its rural traditions. Through Aliki’s powerful voice, an unforgettable one that blends light and dark with wry humour, this novel delivers a fitting eulogy to a way of life and provides a vivid portrait of a timeless Greek woman, whose story of love and loss is an eternal one. 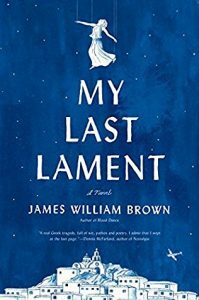 More information about My Last Lament can be found here. Memories…Do Not Open is the upcoming debut album by the New York hitmakers The Chainsmokers and features exciting collaborations with both Emily Warren and Coldplay. The DJ duo, which consists of Drew Taggart and Alex Pall, have already released two singles from their new album with ‘Paris’ and ‘Something Just Like This’. The pair have previously achieved global success with songs ‘Closer’ and ‘Don’t Let Me Down’ and will embark on their first US this month. More information about Memories…Do Not Open can be found here. Joe Francis, AKA Winter Mountain, is taking his full band on the road for the first time this spring. Hailing from the northern shores of Cornwall, Joe blends melodic songs with an extraordinary voice in a sound reminiscent of a time before digital recording. Winter Mountain will be appearing at the Voodoo lounge on 9th April. Tickets for this event can still be purchased here. It should probably come as no surprise that this sequel to Furious 7 went into production almost immediately after the film hit cinemas. 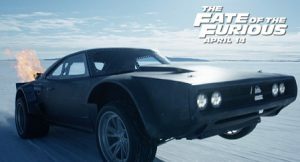 Scheduled to be released on April 14, 2017, The Fate of the Furious’ cast includes Vin Diesel, Dwayne Johnson, Jason Statham, Michelle Rodriguez, Tyrese Gibson, Kurt Russell, and the majority of the other core players from earlier instalments. More information about The Fate of the Furious can be round here. 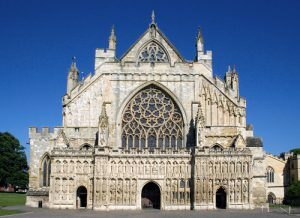 Published in 1632, the “Second Folio” edition of Shakespeare’s complete works will be on display at the Exeter Cathedral on 24th April. A member of staff from the Library & Archive will be on hand to answer questions between 12:30pm-2:30pm. This is a unique experience to witness some of the Bard’s work and entrance is included in the Cathedral admission charge. 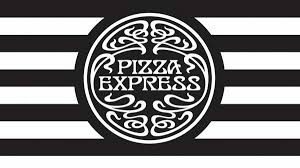 Pizza Express is offering students with NUS extra cards a deal too delicious to refuse this month. The Italian restaurant serves something for everyone, from freshly prepared pizzas to warming plates of pasta and risottos. Your NUS extra card will give you 40% off your food and drink bill on Mondays and Tuesdays, and 20% off your food and drink on Wednesdays, Thursdays and Sundays. Every Saturday in April, Exeter’s biggest nightclub will be hosting an unforgettable night out for you and your friends. Featuring a massive dancefloor, incredible visuals and a state of the art sound system, Unit 1 is the place to be this Spring.